Granny Bee’s classic scented candles are always hand-poured and come gift-ready in a beautiful glossy box. Housed in smooth, sleek glass that accents every decorative fashion, these candles demand compliments for looks as well as fragrance. 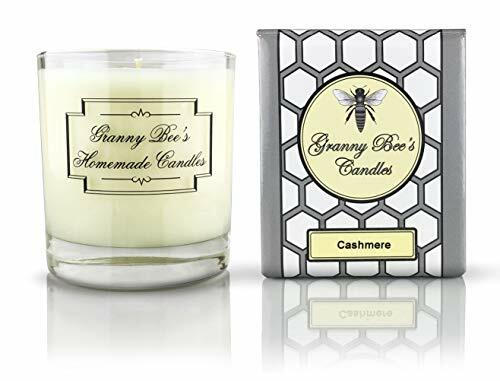 Made with a premium wax blend that holds an abundance of aromatic oil, Granny Bee’s Candles are one of the most highly-scented container candles on the market. Unlock paradise with the variety of scents from Granny Bee’s, including baking, harvest, holiday, masculine and more, all perfectly crafted to enhance your passion. Whether you crave relaxation, are planning a celebration or simply hoping to redecorate, the richness of Granny Bee’s Candles will make any occasion a treat. Brighten a mother’s day, recognize an anniversary, show appreciation or send a delightful birthday gift! Experience the bliss and share the love. In 1999, a mother and daughter-in-law wanted to make a jar candle better than what they could buy. They wanted a highly-scented, long-lasting, container candle that could not only add fragrance to a room, but permeate the entire home. After coming up with this fabulous candle, they did what most women would have done. They bragged about it and began sharing them with friends and family. That’s all it took! Granny Bee’s Candles was born.